Well they certainly don’t make many movies like this anymore! 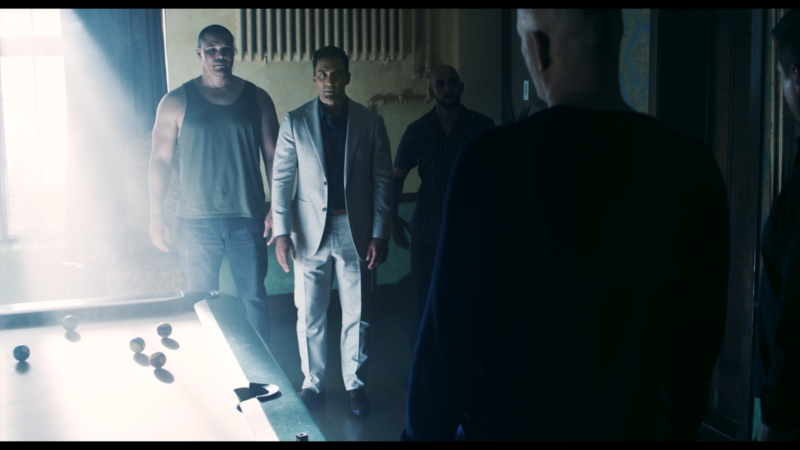 In what can be described as an homage to earlier exploitation films, Brawl in Cell Block 99 delivers a brutal blow to your face. The film marries earlier influence with some modern day proclivities. You end up with a film that will probably not be for everyone, but could easily become a modern day favorite to some. Bradley Thomas (Vince Vaughn) has been clean and sober for years and just wants to make a normal living. 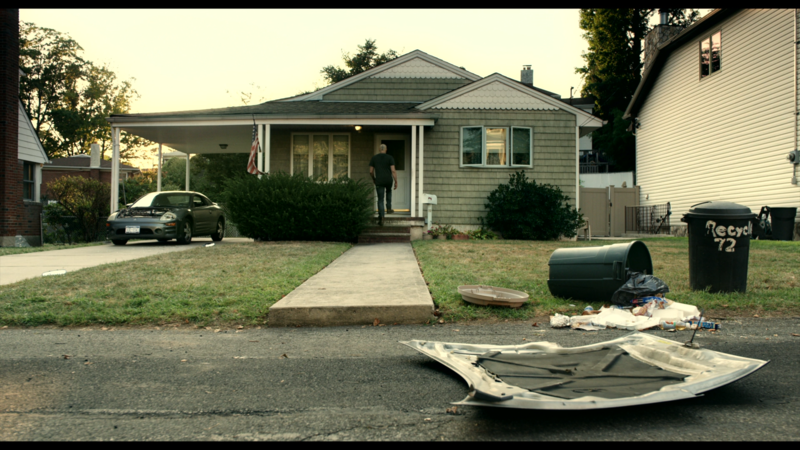 Unfortunately, that was not meant to be as he gets fired from his tow truck job and when he comes home early he finds his wife (Jennifer Carpenter) has been cheating on him. In his controlled rage, he goes all Street Fighter II bonus round on her car. He decides to reconcile with his wife and take better care of both of them. This means returning to the life of a drug dealer, one he put behind him long ago. Fast forward eighteen months, Bradley (don’t you dare call him Brad) is back to being the top runner for drug boss Gil. Even though Bradley does his job well, the two goons that he has paired up with don’t listen to his directions. He gets arrested, but because Bradley doesn’t snitch he is set to be incarcerated for seven years away from his now pregnant wife. Normally on a film in this genre we are talking somewhere around an hour and a half runtime. 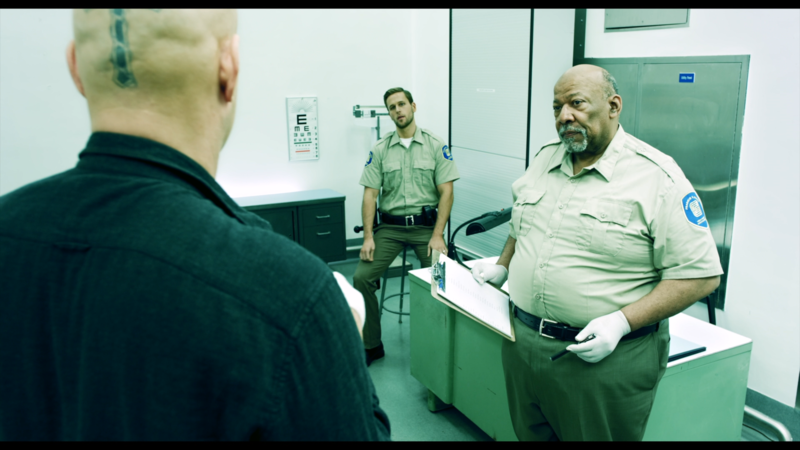 Brawl in Cell Block 99 tops out at 132 minutes and may feel long to some. It does take about 45 minutes to even get to the prison. However, I think the extra character development that writer and director S. Craig Zahler (Bone Tomahawk) has provided does add to the overall enjoyment of the film. Having a full backstory and not something told just in say flashbacks lends more weight to Bradley’s decisions in the prison. Zahler didn’t even submit the movie for rating to the MPAA so it got a limited theatrical release because it was Not Rated. As the movie continues into the prison you will not have any doubts to why he did that. Quite a few scenes would have to be edited down to achieve an “R” rating and I can respect the director for keeping with his vision. The only negative I can see is that this film might turn off some people if you normally watch with family or friends. 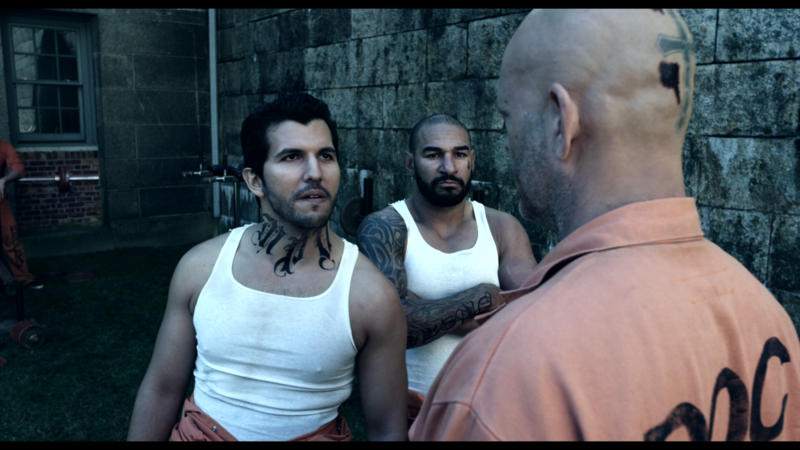 Once Bradley arrives in prison, he plans to just wait out his time. Everything starts out normal until he is given an ultimatum and must do whatever he can to save his wife an unborn child. The movie turns in a full fledged slobberknocker where eyes might be covered by one person while cheers can erupt from another. It is violent and brutal. The action scenes are all well done and Vaughn’s physicality is evident. If I read the script and you said you wanted Vince Vaughn for the lead and I would have laughed. When he turns into Bradley Thomas, I wouldn’t be laughing for long! This film is going to be divisive and I think that’s okay. For those that see the more well known names and go in expecting a regular ol’ drama, they are going to be a little shocked. 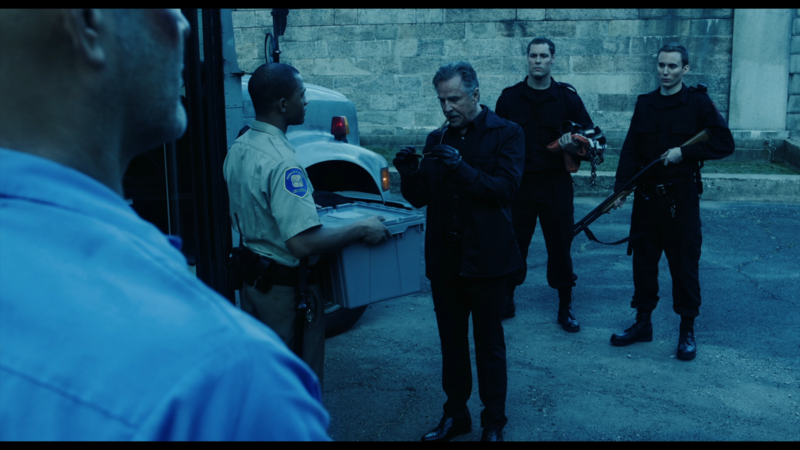 I think fans of the older prison/exploitation movies will be thrilled with what Zahler has concocted. It’s not a perfect film and can probably shed a little bit of time. There also a few plot holes and some of the practical effects don’t look the greatest. Having said that, I believe that was the intention to further bridge and honor the genre. Don Johnson and Jennifer Carpenter put in solid performances with their limited screen time. Vaughn plays Bradley consistently. Some may take his performance as a little dull and not have much growth. I viewed him as someone who lets his actions speak louder than words. We even saw that in his normal daily life before prison, so when he is fighting everyone later on he still felt real. This 4K UHD does NOT contain HDR. When I tell people they should upgrade to 4K I always tell them that HDR is even more important than the resolution uptick. Even with films finished with a 2K digital intermediate the HDR can really blow the Blu-ray image away. With that in mind you should still pick up the 4K UHD version. There is still an upgrade in both detail and clarity. Skin tones look more natural and colors do “pop” slightly better. the UHD even has a slightly more grainy appearance to it which helps bring me back to the genre it wants to emulate. As of this writing, there is only a $3 difference between the two versions at Best Buy and if you are one to give away the second disc in combos obviously the Blu-ray as the second in the UHD combo will trump the DVD as the second disc. Also currently for some reason, Amazon has the Blu-ray as $6 more than the UHD. So with any home media, do your price checking and comparisons. Just don’t let the lack of HDR push you automatically away from the 4K UHD without research. 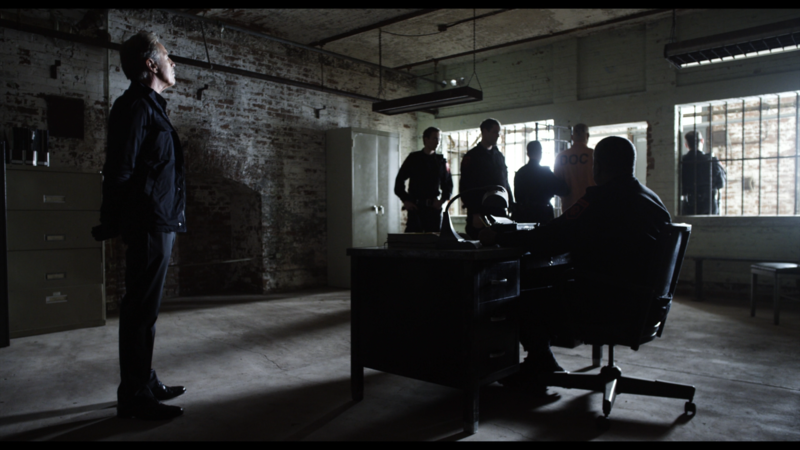 There is almost no score to speak of in Brawl in Cell Block 99. The intention is for you to hear every creak, every footstep, and every doorway creak open. The effects really resonate well and the action scenes give a solid thud. The DTS-HD Master Audio 5.1 track is more than serviceable. While the surround does take a backseat for much of the time, it can make you jump. The dialogue is clean and crisp and I had no issues understanding anyone. Once again happy to report that the special features are also found on the UHD disc. Too many early discs from last year and even earlier this year only had them on the Blu-rays. It’s especially nice for those that do giveaway the combo portion as stated above. Journey to the Brawl (15:11) A featurette with the director, producers, and principal cast. 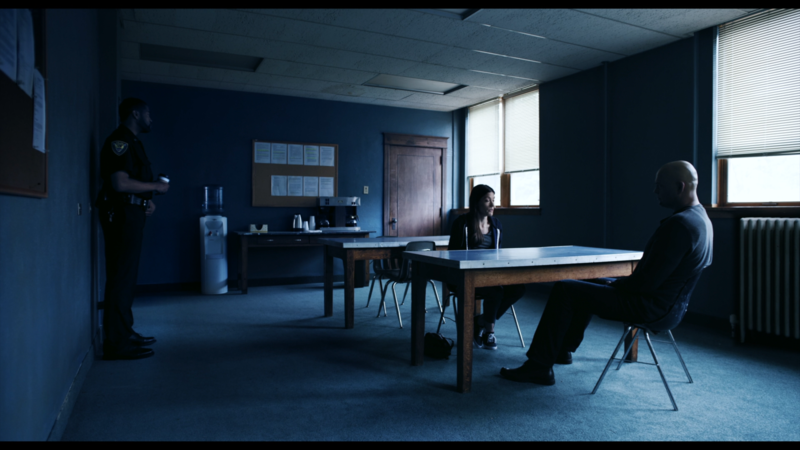 The first half goes through the screenplay and acquiring the actors. they all discuss what it was like working with each other. The second half was inherently more interesting to me. 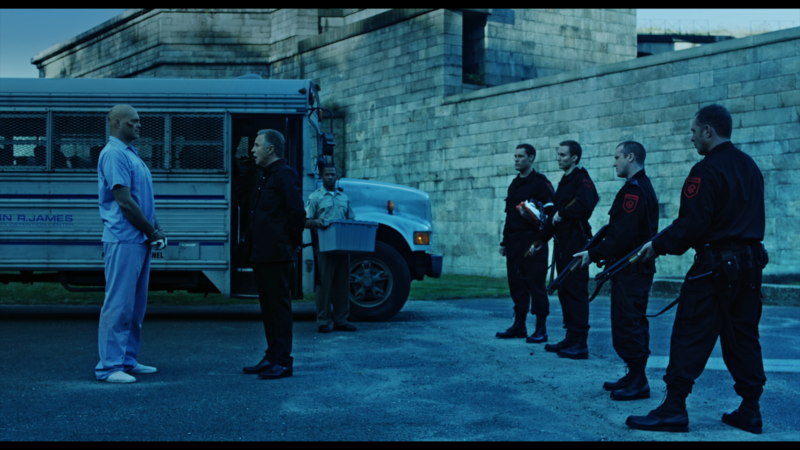 They showed the prison set design and what went into some of the practical effects. Beyond Fest Q&A (31:31) All the main cast of Brawl in Cell Block 99 shows up for this one. Each of the actors goes into what their role was and how they performed certain scenes. A lot of talk goes into the morality of Bradley Thomas and Warden Tuggs. Only two questions from the audience, one of which was not answered. Some microphone issues as well, which cut off some of what the actors were saying. 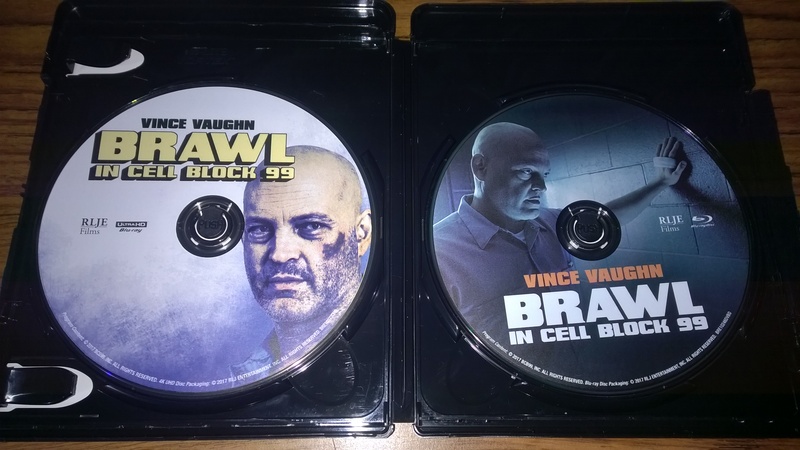 So what to think about Brawl in Cell Block 99? 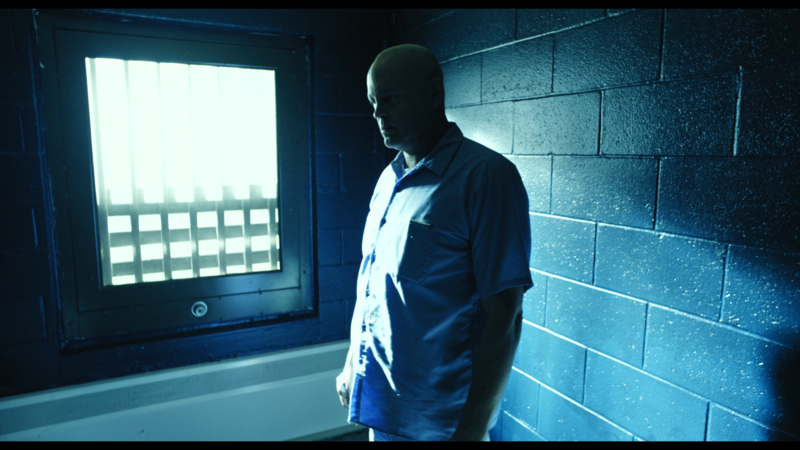 If the genre and trailer intrigues you, and if you like violent exploitative films that recall back films of the past, then Brawl in Cell Block 99 is a no-brainer. The performances and setting are terrific, especially for the budget. The extra character development before we get to the prison adds another element to the film. The overall package for the film is solid. I lament the loss of HDR and digital copy, but am overall pleased with what is employed. I would have liked more features on the set design or choreography however. 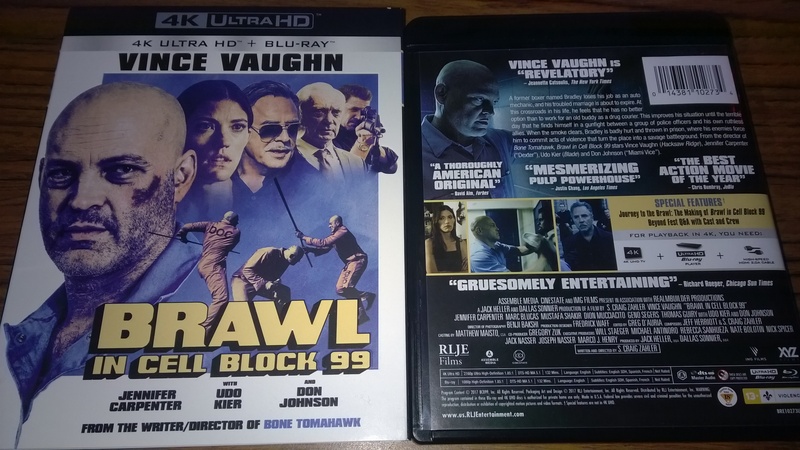 Brawl in Cell Block 99 is out now from RLJ Entertainment and can be purchased from Amazon or other fine retailers. Note: This Ultra HD Blu-ray was sent to us for review. This has not affected our judgement or editorial process in any way. Please contact us if you have any questions regarding this process.